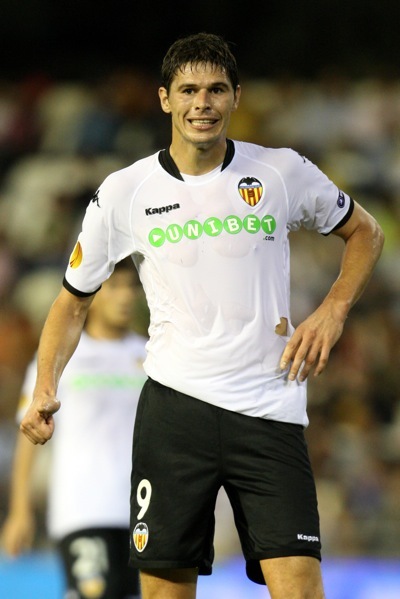 Birmingham City To Sign 6ft 7in Nikola Zigic From Valencia, For £6m? Sky Sports claims Birmingham City have agreed to pay a fee in the region of £6m to Valencia for MASSIVE striker Nikola Zigic. The 6ft 7in Serbia international, 29, has been linked with the Blues before, with Stoke City (of course) and Blackburn Rovers (of course) also reported to be interested. FACT: Unlike Peter Crouch, Zigic doesn’t have good touch for a big man.